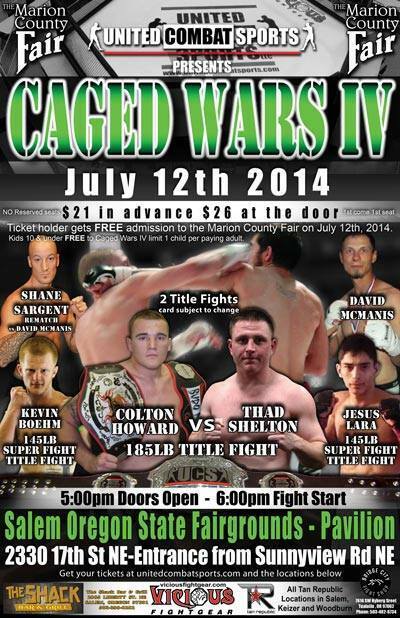 United Combat Sports present Caged Wars IV at the Pavilion during the Marion County Fair. 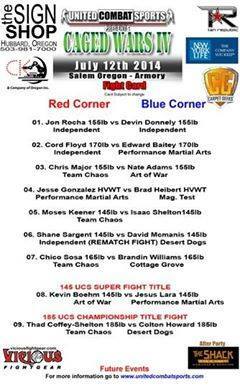 Doors open at 5:00pm, fights start at 6:00pm. our teammate Isaac Shelton will be fighting for the 2nd time so if you missed the first then this is a must see he has improved big time from his last win and is continuing to grow. Powered by Online Advertising Agency Total Market Exposure.